Scared is what Phillip Lewis feels when he thinks of his accumulated credit card debt. "What am I going to do," said Lewis. The 28-year-old from Charlotte found he owed more than $20,000 just one year after graduating high school. Phillip has plenty of company. Improve Credit, a local credit restoration company, says the majority of young people in the United States hold an average debt of about $45,000. "A lot of times most of our community really has not sat down to figure it out in black and white what they are spending their money on," said Wanda Strickfaden with the credit consulting firm. Fortunately you can get out of debt just like Phillip is doing. "It felt really good, " he said. "Then we can go ahead and move forward with actually arranging payment arrangements with their creditors or their collectors," said Strickfaden. Then pay your secured debt like home equity lines of credit, car loans, a student loan. "Pay those debts off first due to the fact that it is secured to an asset," suggested Strickfaden. 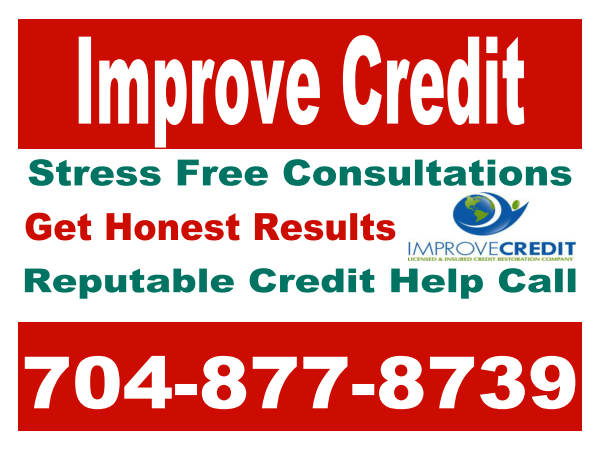 Now negotiate your unsecured debt. "I recommend that if they're in collections save up 50 percent of the balanced owed," said Strickfaden. "If someone owes $10,000 in debt total, save at least $5,000 in your bank account so that you can begin settlement." It might take some time to fine-tune those finances but debt can be tackled in months, hopefully leaving you some extra to put in your piggy bank.